The Channel Islands were cut off from mainland France in about 6000 BC when the sea level rose and the English Channel was created. In 933, the Channel Islands came under the control of William Longsword. He was son of the first Duke of Normandy, Rollo, who was a viking. The islands are the only remaining part of the medieval Duchy of Normandy. Guernsey's connection to England came in 1066, when William the Conqueror, Duke of Normandy successfully invaded England. After that, whoever succeeded to the English throne also became Duke of Normandy. Consequently, the Channel Islands have been a possession of whoever sat on the English throne ever since. People on Guernsey have long made a living from the sea. However, some have gone about it more nobly than others. Located off busy shipping lanes, some locals supplemented their incomes by using lamps to lure ships onto the rocks off the island. Later, the island became a base for privateers who attacked ships belong to Britain's enemies. During the English Civil War, the majority of the people sided with Parliament. However, Castle Cornet was the last Royalist bastion to surrender during the war. Because of Guernsey's proximity to France, a French invasion was always seen as a real threat. When France allied itself with the rebels during the American Revolution, the British built a series of fortifications around the island. More fortifications were built during the Napoleonic Wars. During World War II, Guernsey was occupied by the Germans after the fall of France in 1940. Prior to their arrival, Guernsey was bombed by the Germans who mistook trucks carrying tomatoes for troop transports. Most of Guernsey's children were evacuated to England. Once the Germans arrived, they deported approximately one thousand of the islands residents to camps in Germany. For those who remained, there was little food. Because the Germans made military use of the island, it was subject to bombing by the Allies. In one incident, the RAF attacked a U-boat in St. Peter Port harbor. 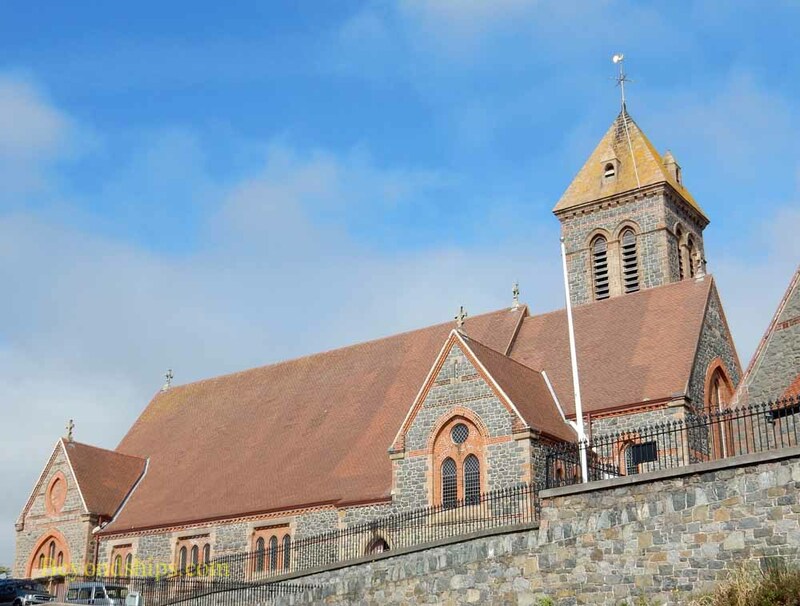 The attack was unsuccessful but shattered glass in the town including in the Town Church. The Germans, often using captured workers from Russia, built extensive fortifications. They still dot the landscape. 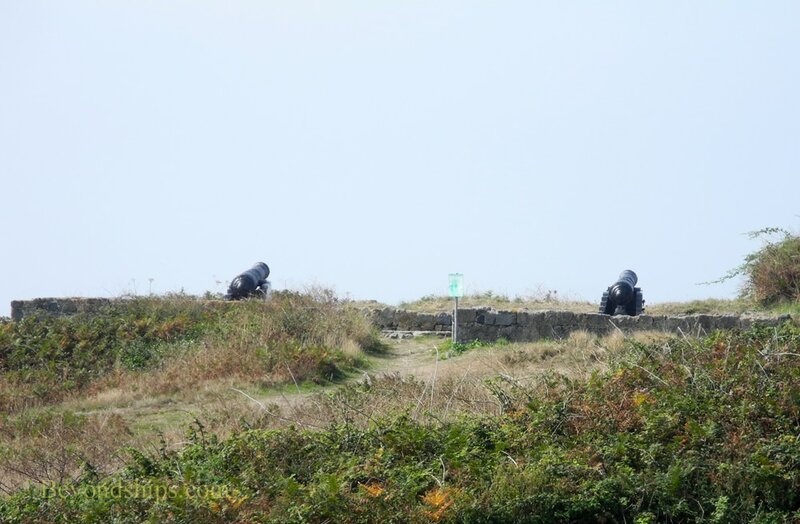 ​Perhaps because of these fortifications, the Allies bypassed Guernsey when they invaded Normandy in 1944. As a result, the Germans continued to occupy the island until the end of the war. Indeed, the German commandant refused to surrender until the day after Germany capitulated. 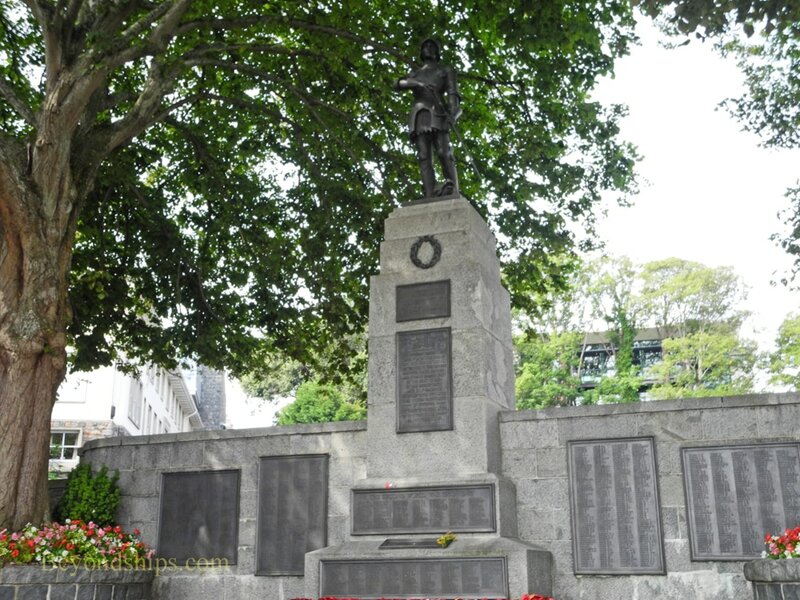 Above: A war memorial in St. Peter Port. Although not part of the United Kingdom, islanders have served in Britain's military in peace and war. ​Below: Remnants of fortifications built to defend against an attack by France. 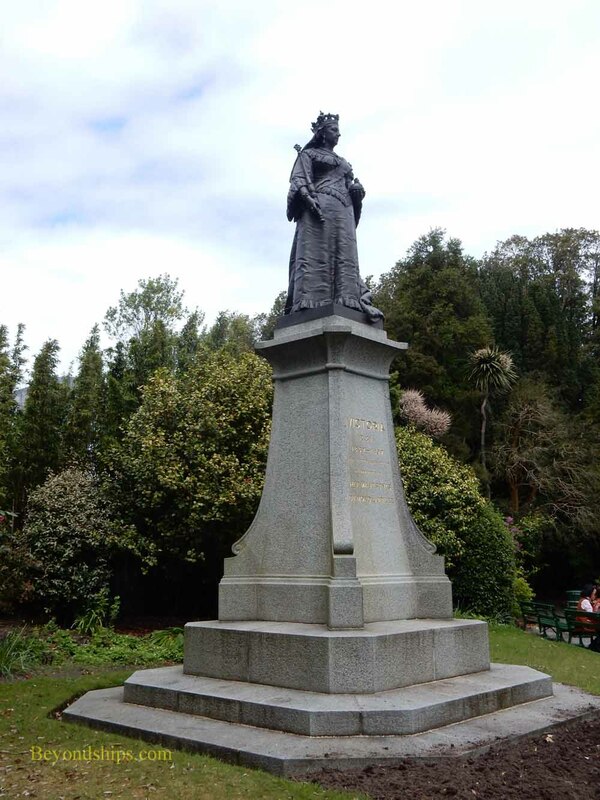 Above: Statue of Queen Victoria, the first monarch to visit Guernsey. 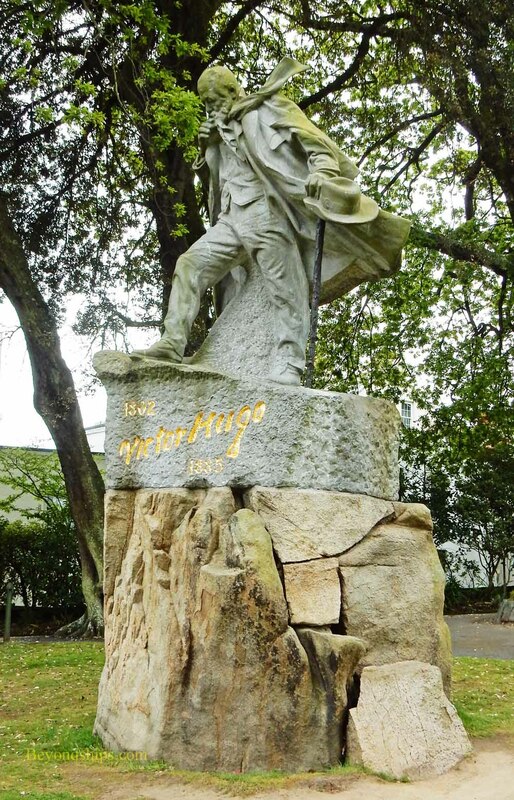 ​Below: Victor Hugo spent 15 years in Guernsey and wrote several of his most famous works in Guernsey including Les Miserables.